An Epicurean Adventure of Taiwan | What an Amazing World! Being an Indonesian, there are some perennial questions that I always get every time I return from a trip. “How was the food?”, “Did you try anything weird?”, “Was the food spicy?” are some of the most frequently asked questions. Sudip, my cousin-in-law, was startled on his first trip to Indonesia back in 2006 when he learned about how important food is for Indonesians. “It’s the center of the culture!” He said. Therefore trying as many local food as I can is always an important part of my trip. Balut in Manila and spicy fried grasshoppers in Bangkok are the most extreme delicacies that I have tried, by far. 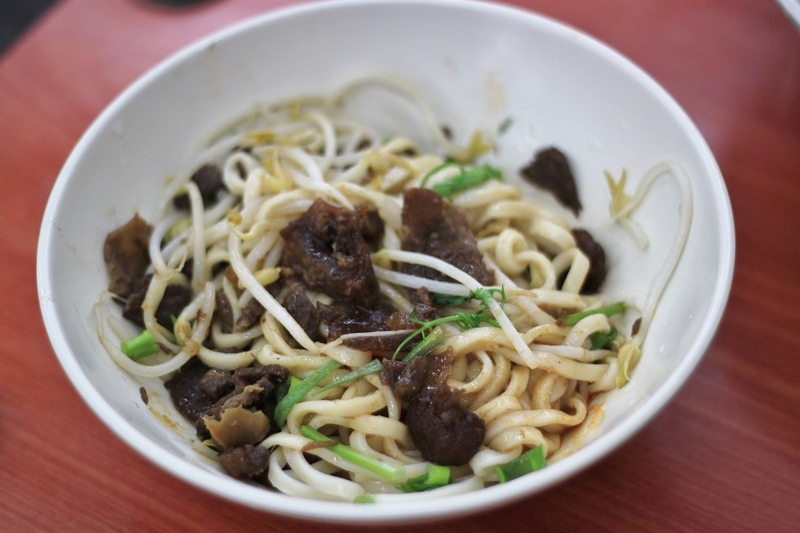 In Taiwan, the food was less adventurous than in other parts of Asia. As you can imagine, Chinese cuisines dominate the menu in most restaurants as well as in people’s dining tables for dinner at home. 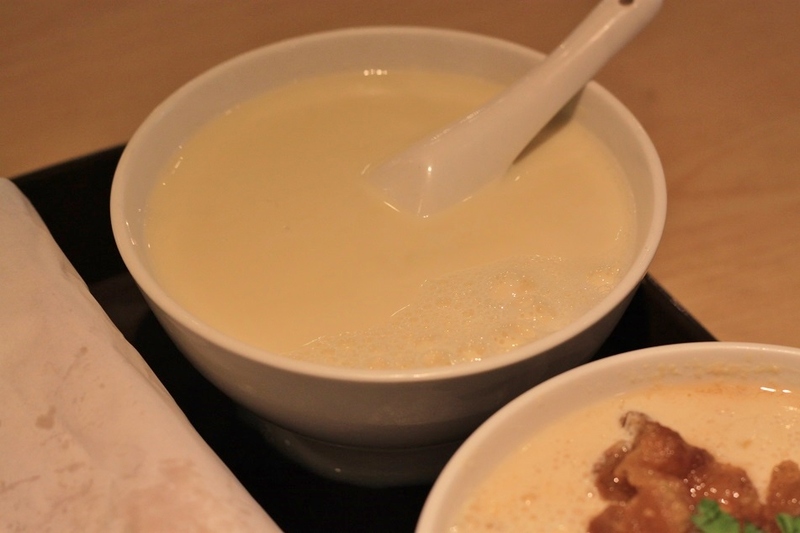 However one of the most interesting dishes that I tried was the savory soy milk at a restaurant called Fu Hang Dou Jiang, even though the waiting line was a bit overwhelming. 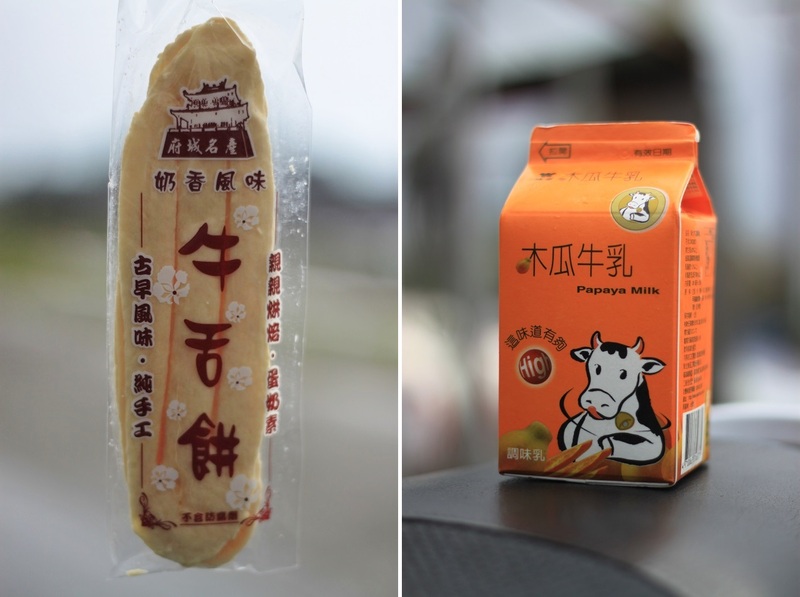 Soy milk can be easily found in convenience stores across Asia, but all of them are sweet. 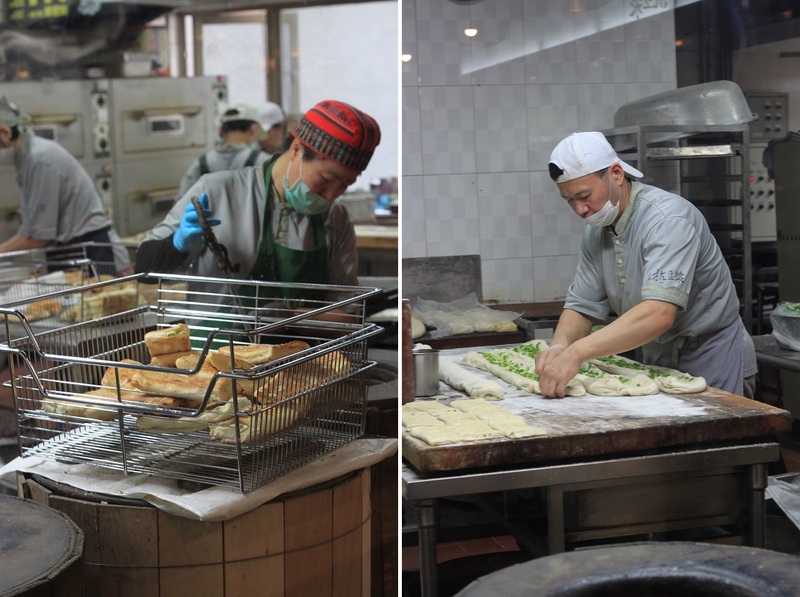 The savory one that I had in Taipei was served with slices of you tiao (deep-fried dough) and coriander leaves. Surprisingly it was quite nice, and worth the 20-minute queuing. 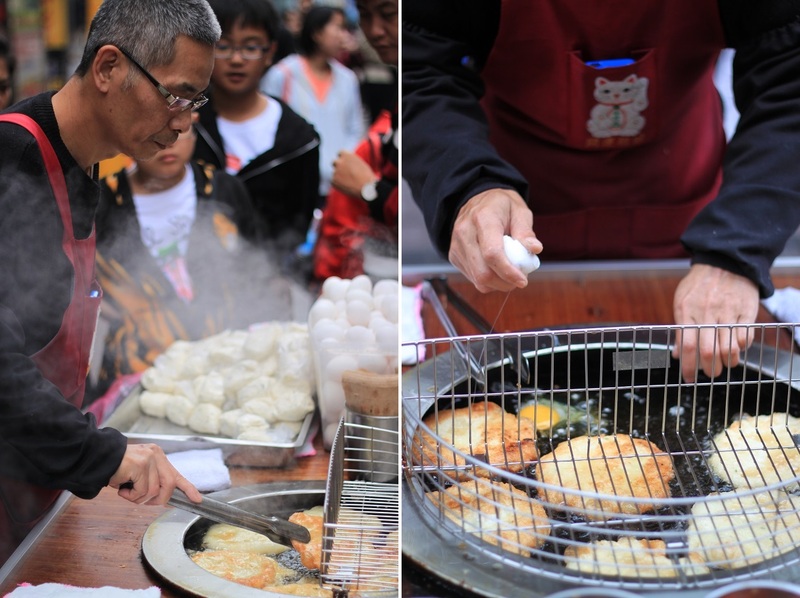 Other than soy milk, one of the distinctive things about Taiwan is the abundance of street food vendors. 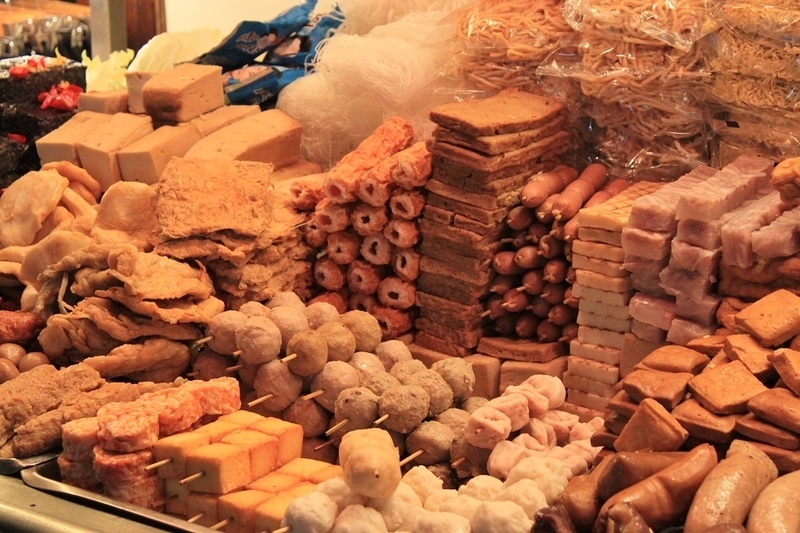 Skewered meat balls, fish balls, tofu and sausages are some of the most widely available snacks. 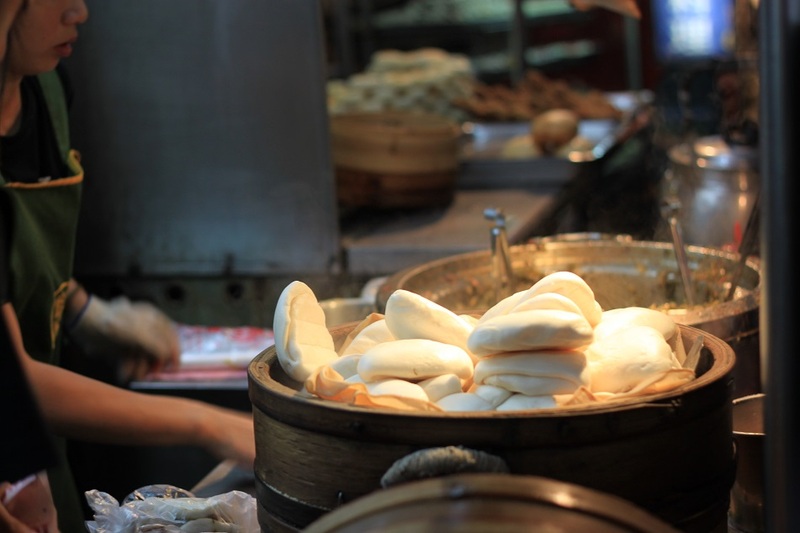 We were lucky to have Nelson – James’ college friend in the UK – as our local food guide who took us to an area near Gongguan MRT Station in Taipei to have a light bite of gua bao. Despite the size, it is truly rich in taste and definitely a must-try. 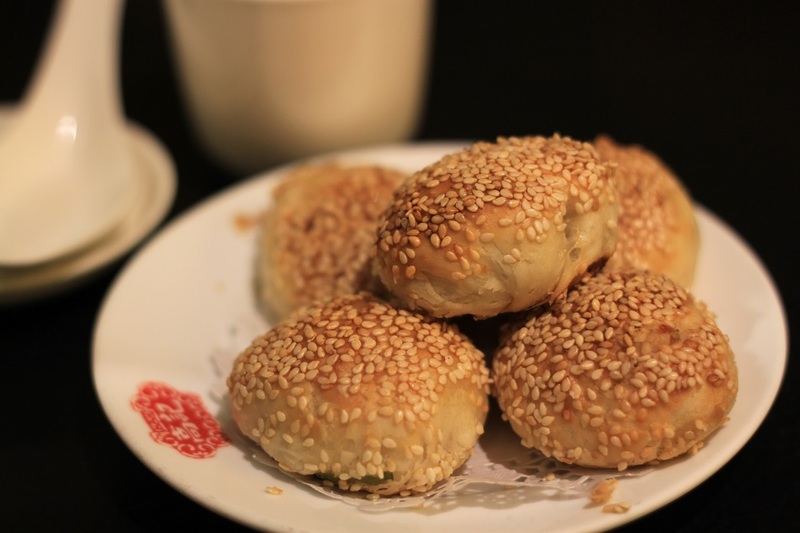 Meanwhile, during our 3-night stay in Orchid Island, I could never start the day without the Cow Tongue Cookies – sweet white cookies made primarily from flour, sugar and eggs – and Papaya Milk. Every morning I rode the scooter to one of the largest supermarkets on the island to grab some of the cookies before exploring the island. However a visit to Orchid Island would not be complete without savoring the salted flying fish as what the island is also renowned for. Images of flying fish might be the second most prominent depiction of the island after the canoes. It might not be the dish for everyone but still it is worth trying. It all looks so delicious! I may not be Indonesian but my life definitely revolves around my love of food too 🙂 trying the local food is such a good way to start to get to know the culture and country you are travelling in. I guess it applies to many other cultures then. When your stomach is happy, everything else doesn’t matter anymore. 🙂 Trying local food is indeed a good way to understand other culture, and the best way to start conversation with the curious local people. Thanks Juliet! And I have this bad habit of making people’s stomachs growl. 🙂 Happy travel too! 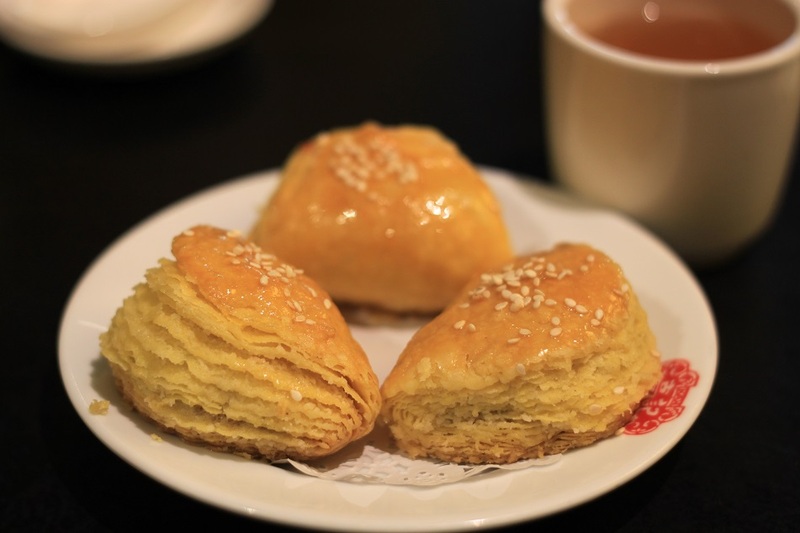 I spent half of my childhood in Taiwan and I adore the food so much. Looking at your pics makes me want to book my flight to Taiwan right away, lol. I didn’t know that! And you’re right, the food was really nice especially that gua bao. 🙂 Thanks Debbzie! Tasty travels indeed. My first time seeinf a pandanus fruit. It looks like a pineapple, what was the taste like? Surprisingly the taste of the fruit was really subtle. It was sweet but not overpoweringly so. It’s like a thinner version of Gatorade, I guess. You got me interested now. Will be on a lookout for this if I go to Taiwan! Cheers! I enjoy your travel blogs very much and am fascinating by your writing about all the interesting places that you visit. You’re an excellent writer. I reblog some of them; however, I never reblog those that mention eating meat, and I’m always disappointed to realize that people don’t seem to know that animals, including fish, are sentient beings. They have feelings. Hi Sharon! First of all, thank you very much for your reblogs. I really appreciate them and they encouraged me to keep honing my writing skill. That means a lot for me! Secondly, I’m really sorry that you feel disturbed because of this post. That was never my intention. I truly understand your stand point on this matter, and I really appreciate that. However there are a lot of reasons on why some people still eat meat and some others don’t. Cultural, educational and religious backgrounds are some of the main reasons behind the difference. But as is the case with the world today, let us not focus on the difference because that’s the last thing the world needs now. Let’s focus on what we all have in common which are actually a lot more than we thought, and make the world a more peaceful place to live in. Well pictured and well explained. Us Indonesian like our food. However, I think that goes for all culture. 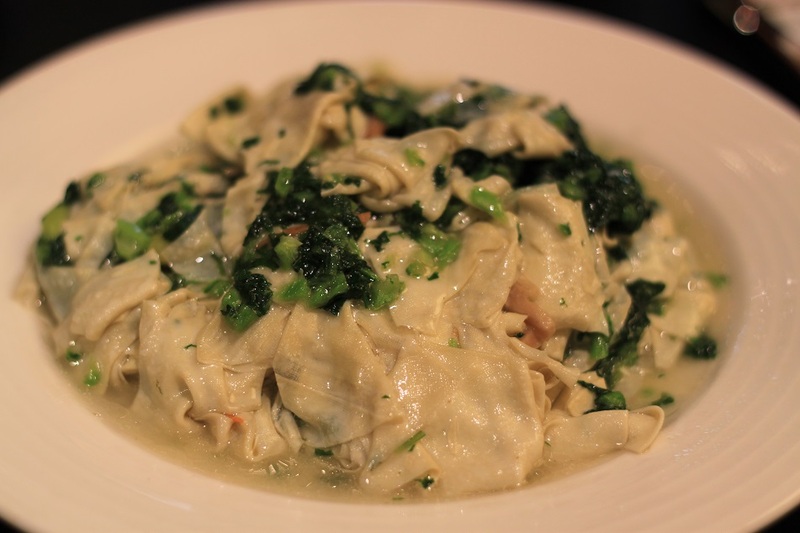 What a droolworthy post, Bama – you and your camera capture food extremely well! I regret not bringing my own camera to that restaurant on Orchid Island, they plated up the flying fish in such a contemporary way. Those mushrooms we had were called “lovers’ tears”, think it was Shanti who told me they grow in the wet taro fields and are harvested when it rains. Thanks James! I guess it’s more because of my prime lens. 🙂 Actually I did look for the name of that mushroom, and I remember something with tears. So, thanks for that! 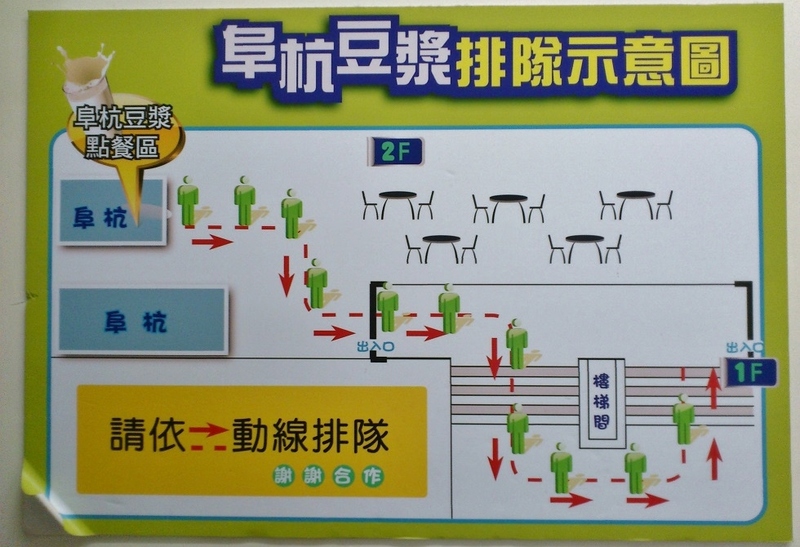 I’m glad I brought my cellphone when we had dinner at that restaurant on Orchid Island. Otherwise there would be no photo of the flying fish dish. Hi Bama, nice Taiwanese food round up! Seemed like you satisfied your desire for epicurean adventure. I love the shots of the salted flying fish. Everything with it looks interesting. Looks very local; I’d love to try it. Nice food photo shots. What a feast (rather, feasts!) 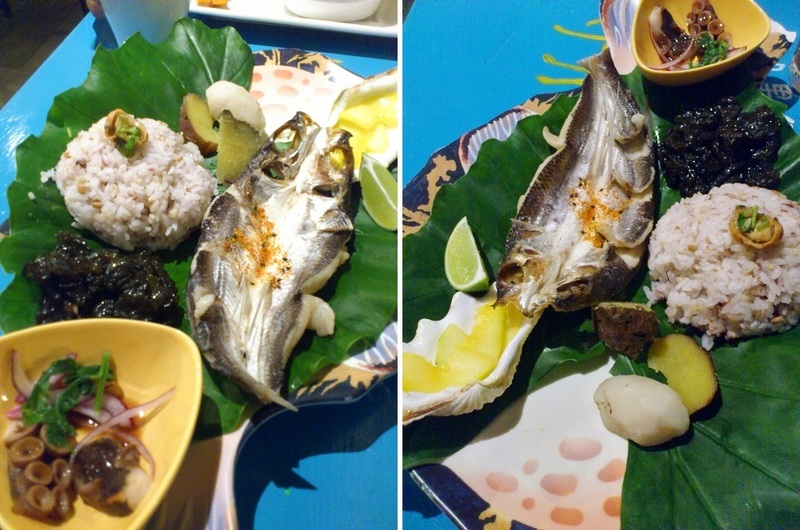 for the eyes and the imagination – a terrific post about the food you tasted, especially the salted flying fish of Orchid Island = but really so many new flavours for me to look forward to, thanks! Thanks Meredith! Trying local dishes is always a fun thing to do. Sometimes the new flavors would make enough reason to go back. But there are times when they’re just too strange for the palate. Oh, I know what you mean – and sometimes it’s the silliest things that throw you. For instance, in Australia we love our avocado, we eat it as a vegetable, with salt and lemon juice, and sometimes chilli and garlic. Here, in Sri Lanka they love their avocado. They eat it like a fruit (which makes sense, because it is a fruit, of course), but for the life of me I just can’t stomach sweet avocado – just too strange! With chocolate condensed milk to be precise. 🙂 Hmm, Kumari sounds interesting! I might want to try that the next time I visit Sri Lanka. That’s so mouthwatering! Looks delicious all of it. Im vietnamese myself and will spend 2 months traveling around Vietnam this summer. This post is such an appetizer – CANNOT wait to eat and taste all the foods again! I myself was curious about the fruit when I saw it for the first time in Orchid Island. Actually I didn’t open the fruit. 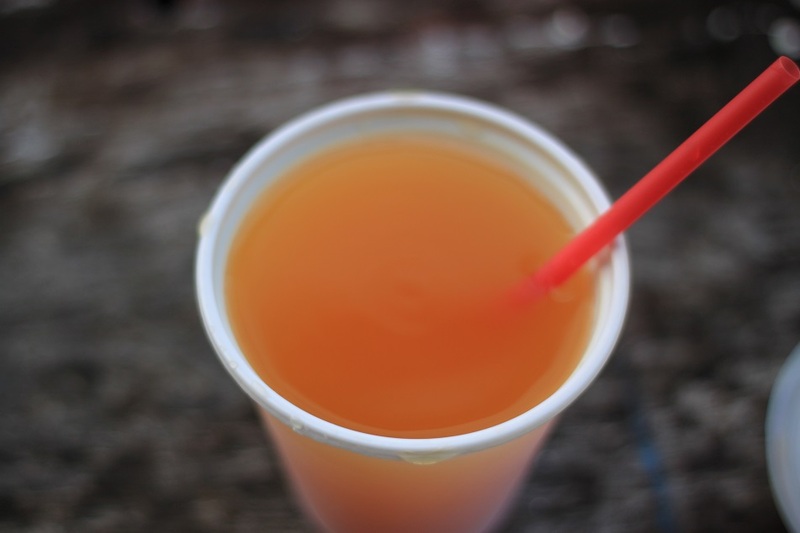 The juice that I had was prepared by the food vendor. Thanks for dropping by! And I want to visit Jember one day since I’ve got a few friends from the city. Wow! My mouth is watering! 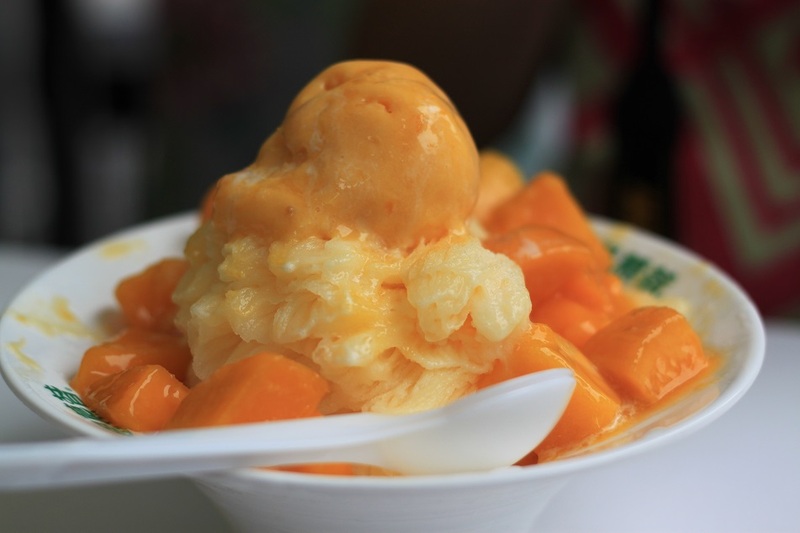 (especially for the mango shaved ice and spicy fried rice) Food has to be one of the most fascinating discoveries in other countries, as it is such a big part of daily life…the gathering, preparing, and consuming! 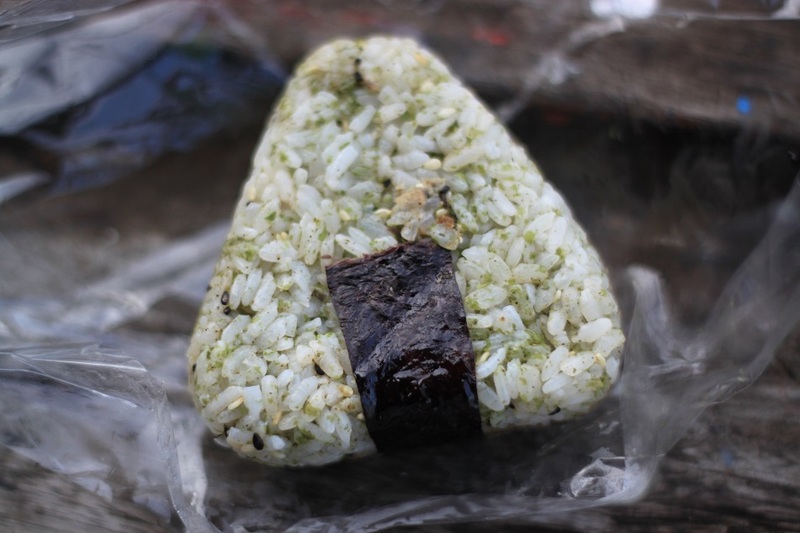 Certain foods that are eaten almost worldwide, such as rice, take on a whole new life depending on the imagination of the cook and local ingredients. It’s interesting that Oaxaca is also known for fried grasshoppers (chapulines) that are liberally doused with ground chile mixtures. For me they were OK, but not something I would search for. Fortunately they were small, more like a cricket. I like the name of the cookie “Cow Tongue”, which is not a name that conjures up an image of something tasty! That mango shaved ice actually is better for summer. When I was in Taipei, the weather was rather chilly, but I gave it a try anyway. 🙂 And yes, you’re right. 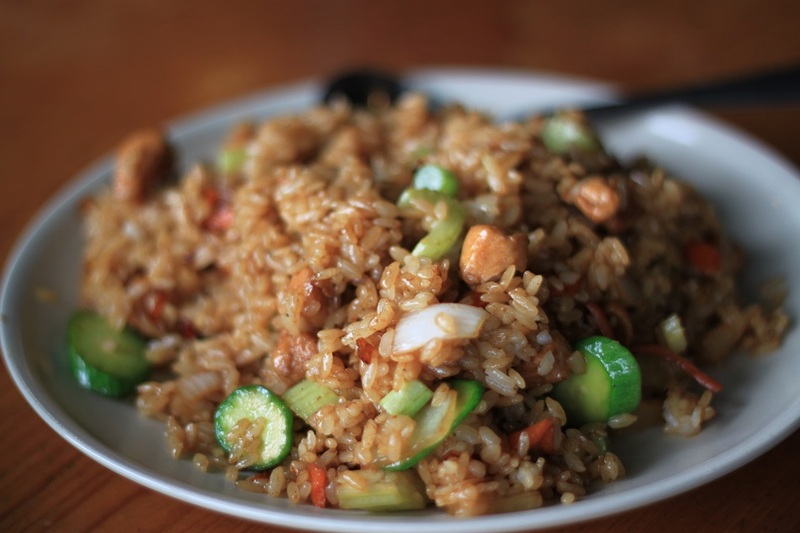 Rice is so widely consumed that people from all over the world has their own ways to cook and serve it. I love the way Japanese do the rice though. Those grasshoppers that I tried in Bangkok was actually quite nice, but just like you, it’s not something I would search for. That “Cow Tongue” was such a simple yet heavenly snack for me! 🙂 I really couldn’t start the day without having one. I am glad I had a sandwich before this post. otherwise it would have been “torture”, the food looks so wonderful. Lol! 🙂 I’m glad you had your sandwich, Bente! The food in Taiwan was really great! Delicious! And you took those photos in a very food – I mean good angle 😛 I want to try them all! Ugh, it’s way past my bedtime and now I want another whole meal! Fantastic post, thank you! Oops! Sorry Lydia! 🙂 I always love taking photos of food, and in fact in a few weeks’ time I’ll be posting another post on food. But this time on the food of Semarang. Thanks for dropping by! And they did taste really good as well! Excellent post! I really enjoyed reading about your experiences. I’m currently living in China, but while I’m on this part of the world, I would love to visit other countries. Maybe I’ll take a trip to Taiwan! Thanks Josh! 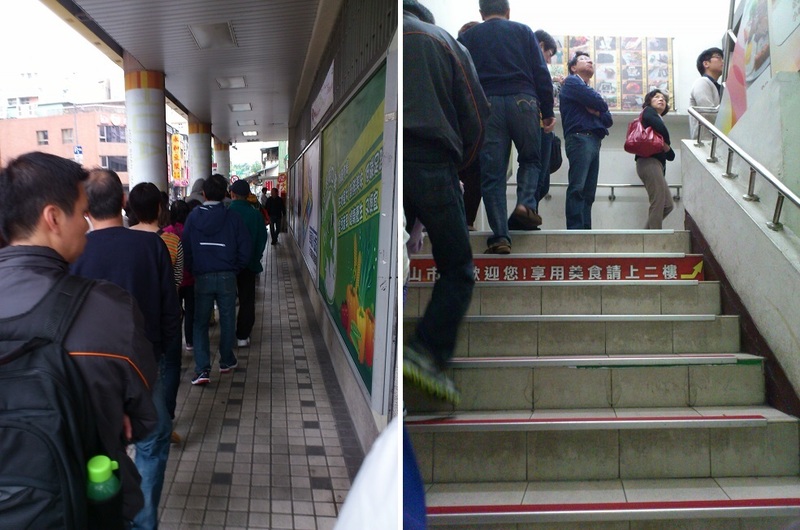 More and more mainlanders are coming to Taiwan in recent years, so I guess you need to ride the wave as well. 🙂 Taiwan is a must place to visit if you want to delve further into the Chinese culture. Thanks Madhu! Taiwan definitely has more to offer than just Din Tai Fung 🙂 But if I could only pick one dish for you to try, it would be gua bao. It’s so smooth and silky, but at the same time rich and tasty. Wooow.. so many food in Taiwan!! Yes, Taiwan is a food heaven! The pandanus fruit tasted pretty light and not as intriguing as it might look. hihihihihi i don’t really like soy milk, but since it has a long queue I think it taste good ya kak? and How does yam rice taste kak? It was really good, but I found the savory one quite interesting since we don’t have it here in Indonesia. The yam was basically the same thing what we call “ubi jalar” in Bahasa. 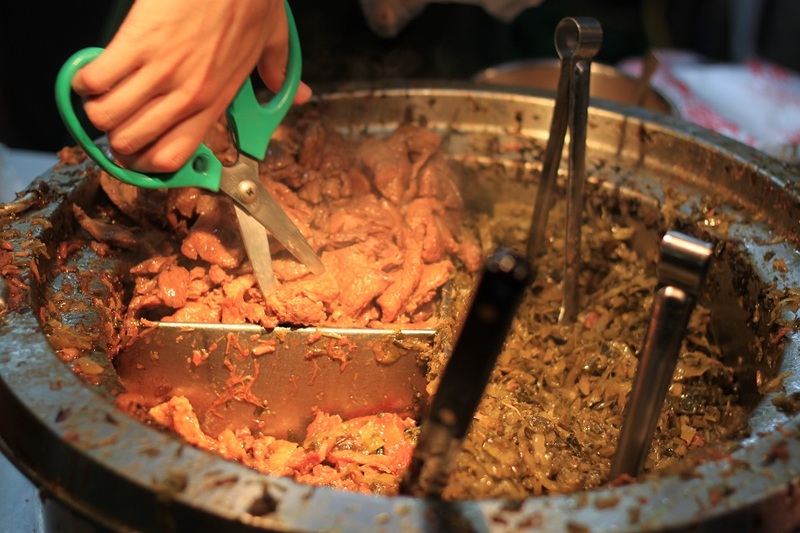 is it hard to find halal food in Taiwan ? These foods looks awesome! Beautiful photos! Thanks! They tasted quite good actually. Oh wow, Taipei is surely heaven, although if you just emerged from an underground MRT station and smelled ‘sosis babi goreng’ without having the intention to eat it, your stomach would turn from the thick oil odor. Great photos. I have lived in SEA for some time now but will finally be getting over to Taiwan this year, I am excited to do a good deal of eating! Ahh, that’s great! Taipei’s dishes are amazing. 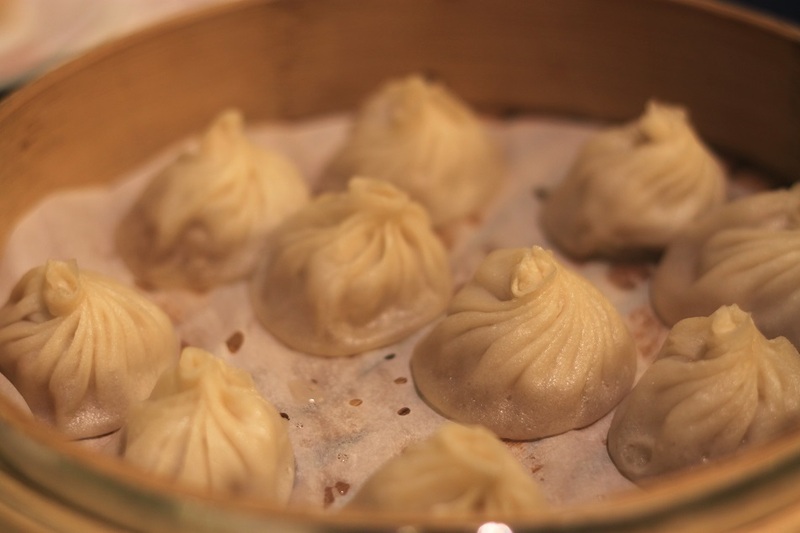 If you love Asian food, I bet you won’t find it hard to love the food in Taiwan. 🙂 And don’t forget to visit Orchid Island (Lanyu), one amazing island just a short flight away from Taitung. What a gastronomic adventure you had there, Bama. My mouth is still watering as I was typing this comment. Anyway, good to see you now that I’m back from a long hiatus brought about by the two seasons of the badminton tournament that ran for almost 5 months. That include the breaks/practice period for each. Hi Sony! Nice to have you back here. Have you moved back to the Philippines or you’re still living in Saudi Arabia? I didn’t know that you’re a badminton athlete. That’s really cool! You know how big badminton is in Indonesia, and all of us are fanatic fans! 🙂 Anyway, speaking of the food, it’s amazing how delectable Taiwanese dishes are! 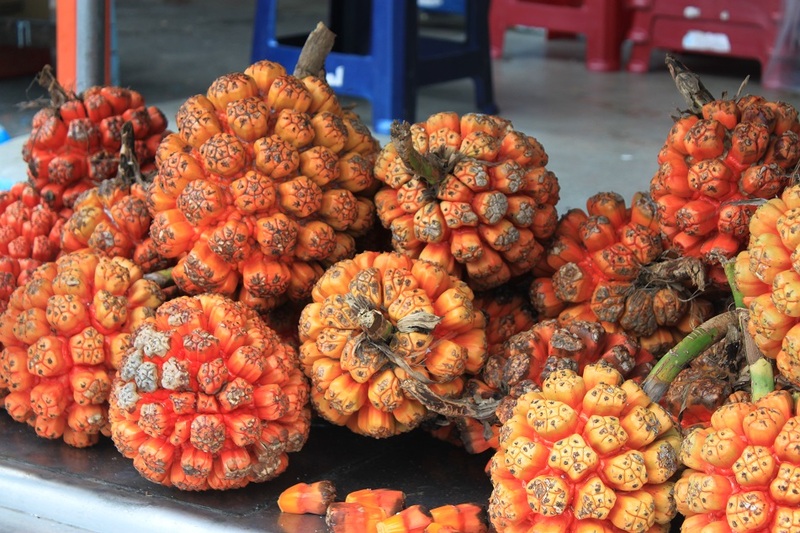 I have always wondered what those weird orange fruits were, I used to find them on the beach in Brunei when I lived there. I assumed they were poisonous though. Thank’s for telling me different. 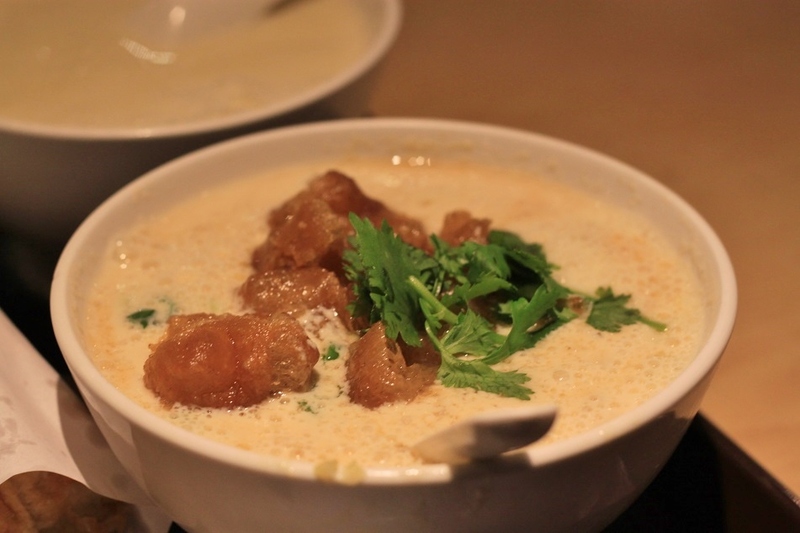 Taiwan has some of the most delicious dishes I’ve ever tried, indeed. The food look so delicious because of your great photos. What camera and lens are you using? 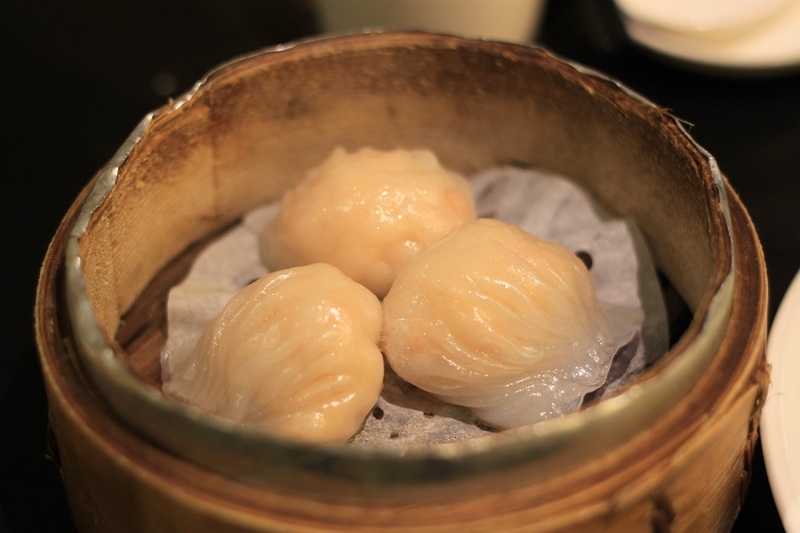 When I took a look at your blog, my mouth watered instantly because of that Hainan Chicken Rice picture. For taking most of the pictures in this post, I used my prime lens, 18 mm f/1.8. I think it is so great to have people to share about their travels & what they do say & eat. I was so into what is served for Asians & the seafood that is eaten. I have been to a few local seafood & Chinese all you can eat buffets to get more & quality food that they eat. It gives me a great liking to figure out what is supposed to be eaten when checking out new foods that are added to their buffets. With your posts, I get to remember what is good & go looking for its nutritional benefits as well as the parts to eat besides. I love the pictures you take & do help me to realize much of a city or town they have & their restaurants & food or other shops as well. They seem to be crowded in cities like California, too. You have done a wonderful job of your posts & the pictures you take! when seeing movies, I now know that there is no difference to what is seen on the screen & what is real in the cities as they seem to be full all the time. I have studied their culture a little bit so it gives me a chance to think of lots of their ways & love how they have become so popular here. Keep inspiring us all! Thanks Rodney! That’s one of the reasons why I started traveling at the first place. When I was little, I found encyclopedia so interesting and fascinating. When I grew up I learned about National Geographic and the great stories and pictures it always convey to its readers. When I started traveling I realized that the world is truly filled with so many amazing things: food, cultures, peoples, and places. It’s always interesting to always learn something new.